San Juan Island photographer John Miller recently took a trip down the Oregon coast and is sharing a series of lighthouse photos with SJ Update readers. This is number 2 in that series. 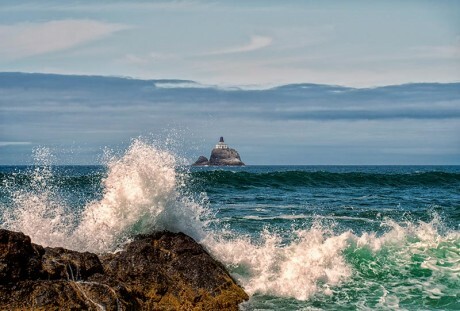 Tillamook Rock Lighthouse – located about a mile off shore from Tillimook Head. According to John it is on a rock that is 133 feet above sea level and is the only light house that is privately owned.